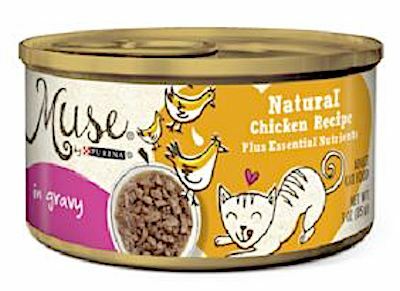 US/Silver Spring: Nestlé Purina PetCare Company, a St. Louis, Missouri establishment, recalls certain batch/lots of Muse Wet Cat Food Natural Chicken Recipe in Gravy due to suspected rubber fragment contamination and consequential risk of choking, oral injury, internal ingestion and GI tract laceration damage, all serious health and safety hazards. 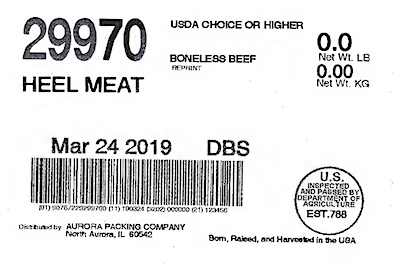 Canada/Ottawa: Amira Enterprises Inc., a Laurent, Quebec establishment, recalls certain batch/lots of Amira branded Soup Mix Minestrone due to suspected risk of insect contamination and consequential risk of bacterial infection, choking, oral injury, internal ingestion and GI tract laceration damage, all serious health and safety hazards. Canada/Ottawa: Redfrog Enterprises Ltd., a Delta, British Columbia establishment, recalls certain batch/lots of Mixed Pumpkin Yam Tea products due to undeclared Milk, a known allergen, source of dietary intolerance and possible trigger of Anaphylaxis, a serious and potential fatal situation, requiring immediate medical intervention. US/Washington: Alpha Guardian, a Henderson, Nevada establishment, recalls an estimated 1,250 Stack-On Sentinel branded Gun Safes due to suspected operational failure and consequential risk of unauthorized firearm access, injury and/or death, all serious safety hazards.